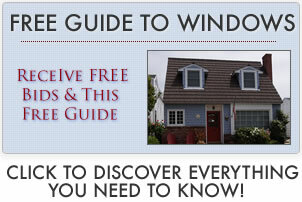 Bow window prices will vary widely as they involve not only the windows, but also framing, carpentry and finish work. Simply replacing the current bows or bay windows will be on the lower range of window prices and costs while enlarging or altering the opening involves quite a bit of installation work that will tend towards the high end of the pricing range. Entry level bow windows will often involve fixed types that are mulled together. Some bows are premade and are available as vinyl or fiberglass window frames, but most of the time they will be wood. Economy prices usually means limited options for features and colors, as well as a more entry level glass package. Standard bows may involve 3, 4 or even 5 frames that are mulled together. The number of windows will vary depending on the space of the opening. Typically, the center window will be fixed, but a side window may be movable through the use of casement windows or double hungs. Often, there are various options for the replacement window hardware. High end bows will almost always be solid wood windows, although an extruded aluminum or metal exterior is not uncommon. These set ups can hanve 4, 5, 6, 7 or even 8 windows mulled together. They often incorporate movable options on sides that are single hungs or awnings. The glass package will be top notch, with krypton fills or a very good spacer system and solid insulation. Expect to pay $600 to $2,000 for the price of installation. The cost will be on the low end if the replacements and opening are the same size as the existing windows. If the opening has to enlarged or altered in any way, you can expect the costs to increase to the upper cost level. This includes installation and all materials.